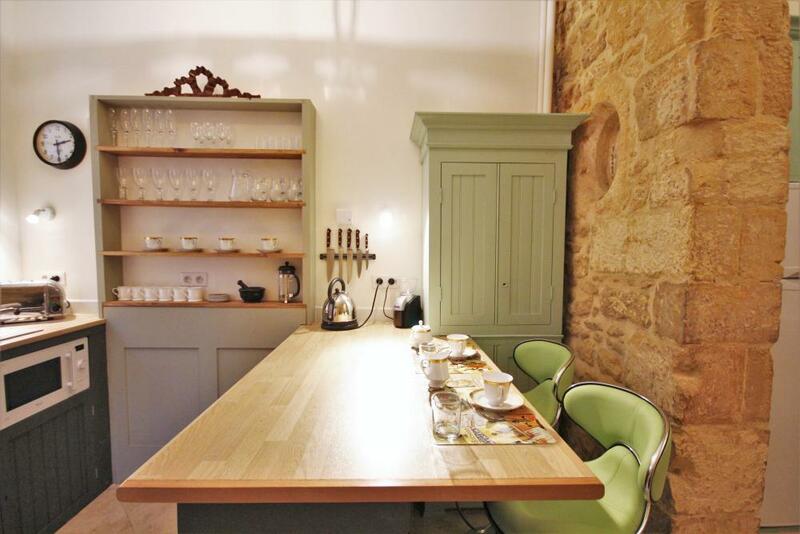 This charming and cosy house, situated in the heart of the medieval town of Sarlat, combines authentic architecture and raffined decoration. 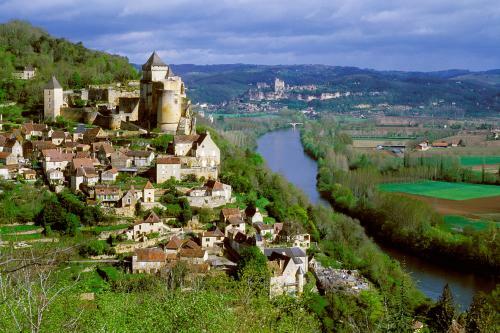 It offers an ideal holiday destination for discovering the "Jewel of the Perigord". 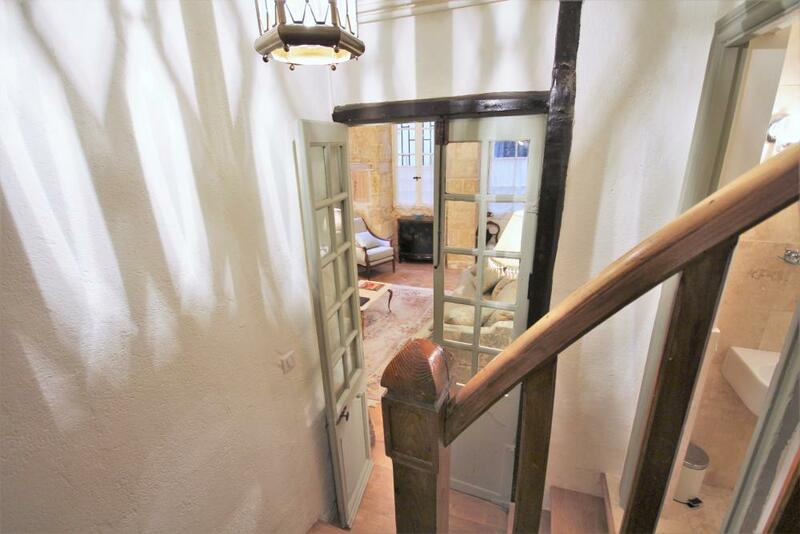 Situated in a pedestrian street of the conservation area of Sarlat la Canéda, this adorable house has been renovated to an extremely high standard. 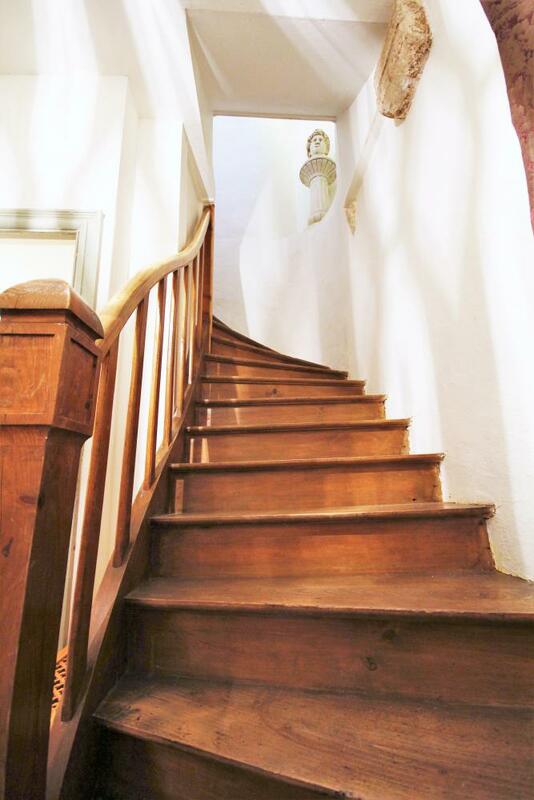 The decoration is sophisticated and has been carefully though out in detail, and the equipment is of a high quality. 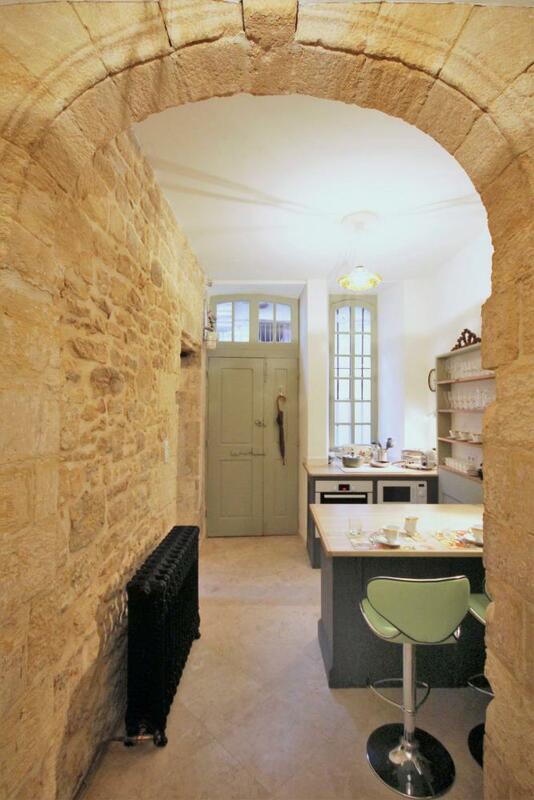 * a lovely kitchen, fitted with wooden units, a bar, two chairs and a lovely stone vaulted ceiling. 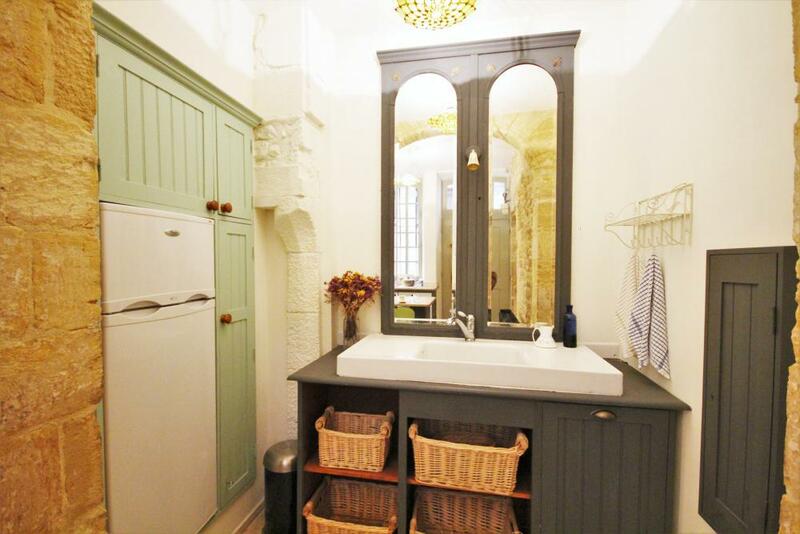 It offers a full range of equipment with a fridge freezer, hob, electric oven, microwave, dishwasher, coffee machine, kettle and toaster. Ideal for preparing local produce bought at the market. 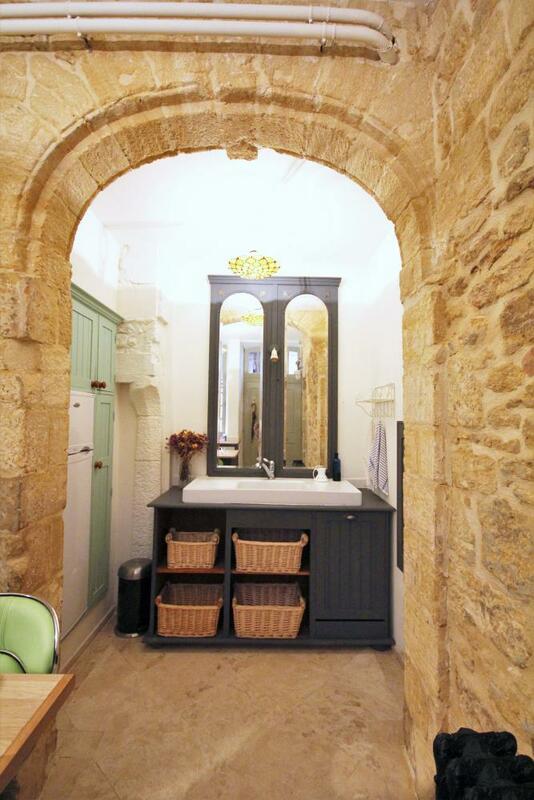 - a cosy sitting area with exposed stone walls. 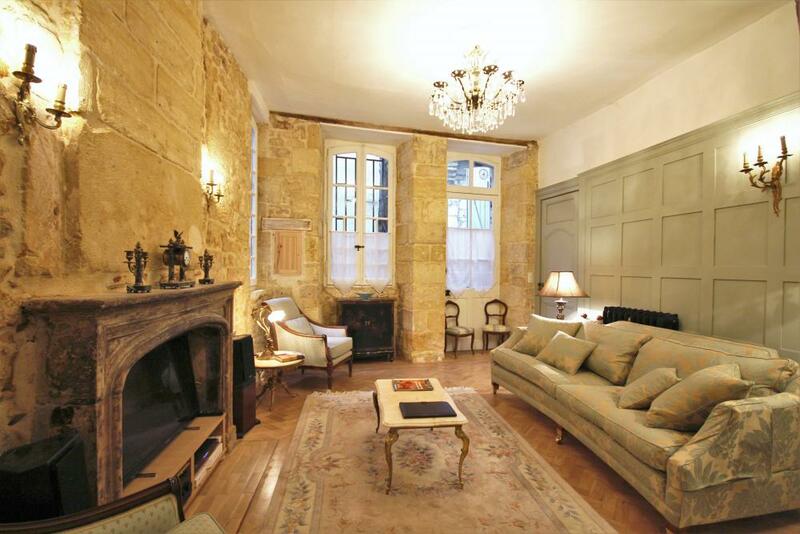 A sofa and two comfortable armchairs are set around the imposing stone fireplace. 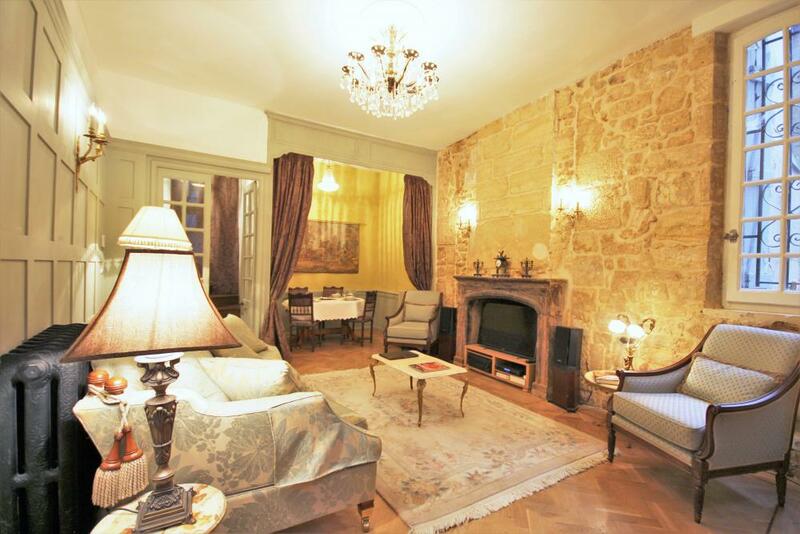 There is a flat screen TV, coffee tables, rugs, wall lights and a crystal chandelier. 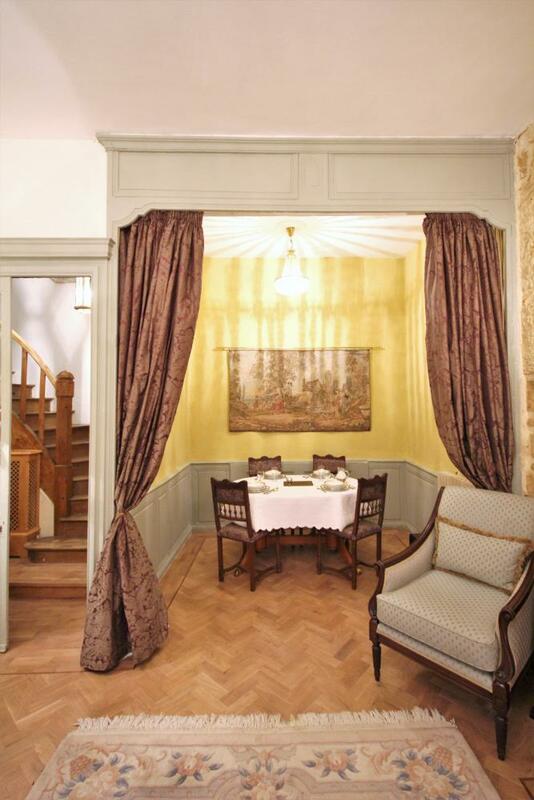 - a dining area is set in an alcove and offers a dining table, 6 chairs and a beautiful pendant chandelier. 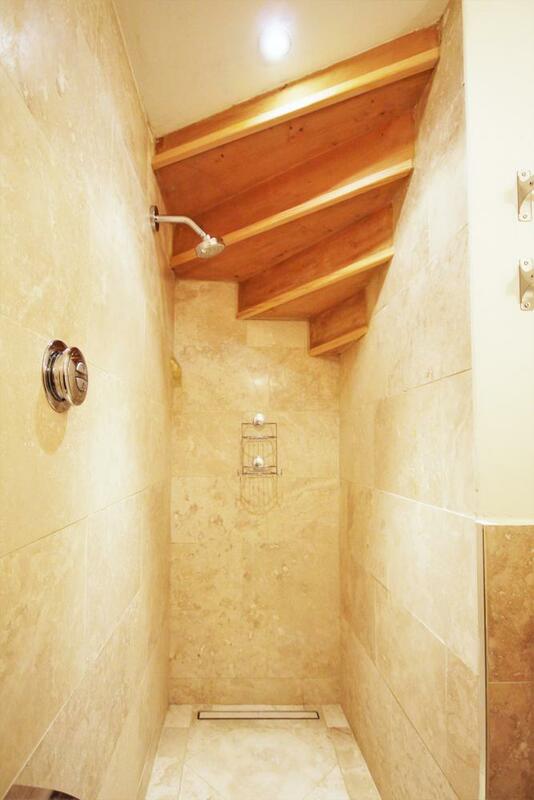 * a shower room with walk in shower, washbasin and toilet. 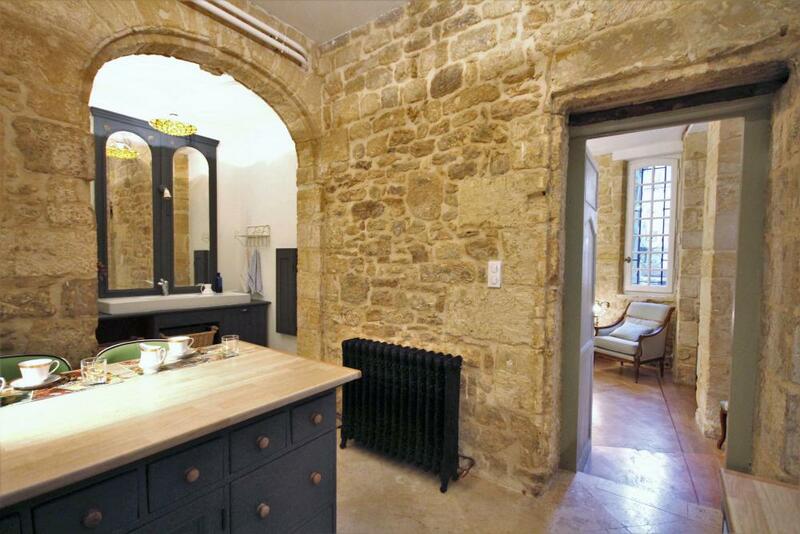 - a first double bedroom with a double bed (140cm wide), dressing table, and bedside tables and lamps. 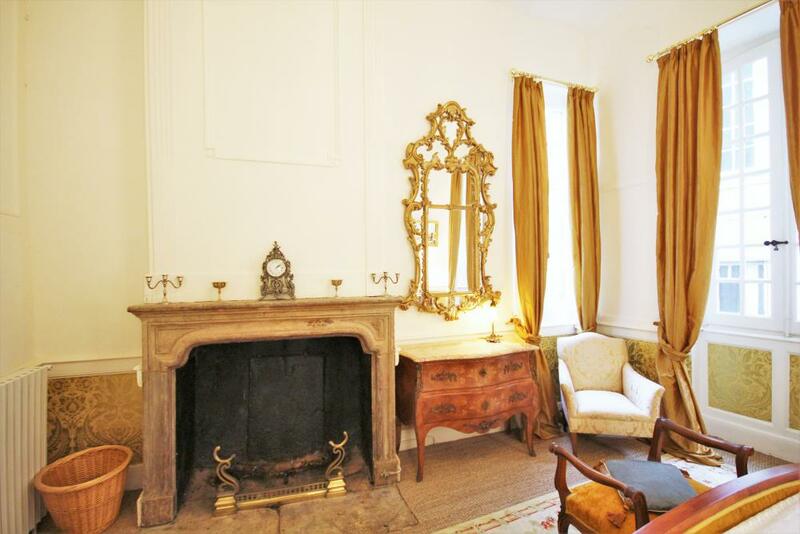 A spacious and romantic bedroom with pannelled walls and fireplace. 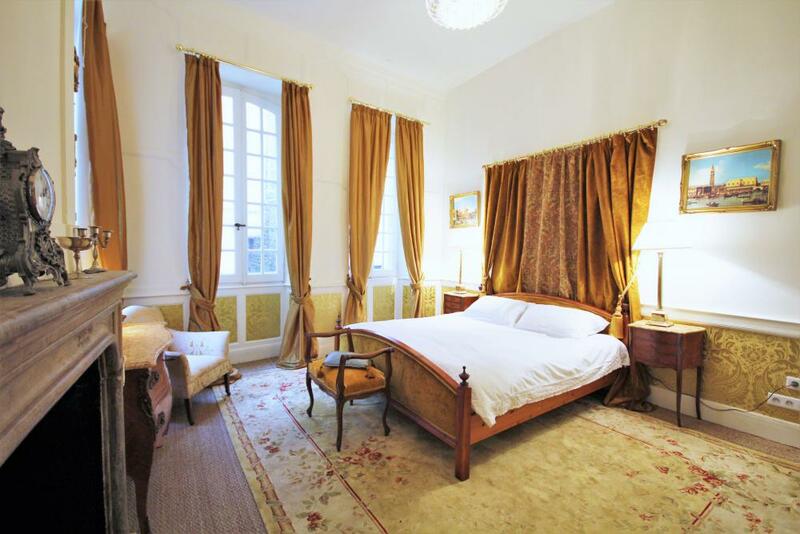 It offers a large double bed (160cm wide), dressing table, bedside tables and lamps and a superb guilded mirror and crystal light. 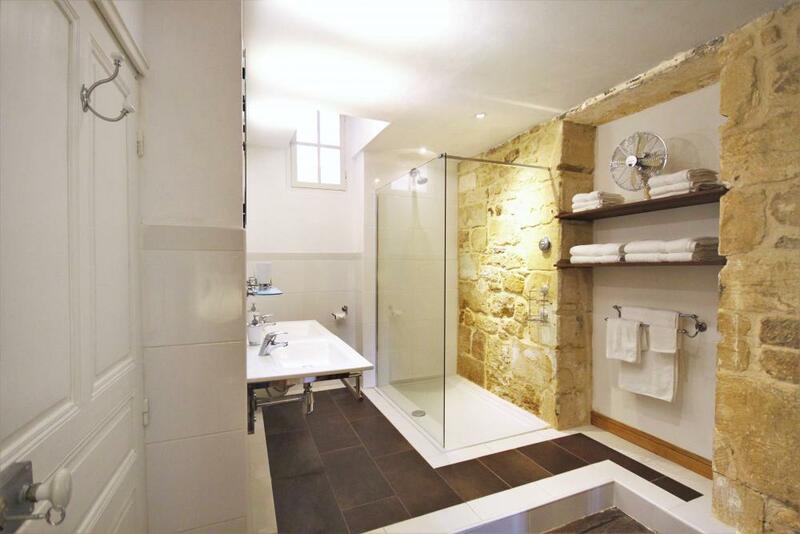 - leading off is an en suite shower room with walk in shower, double washbasin, and wooden cupboard. 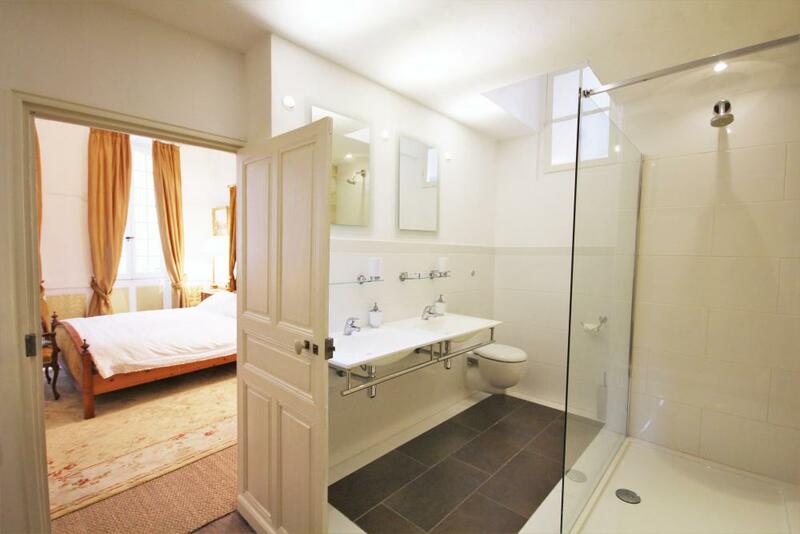 * a double bedroom with a double bed (140cm wide), chest of drawers, bedside tables and lamps. Wifi internet access throughout the house. Gas central heating assures your comfort in cooler periods. 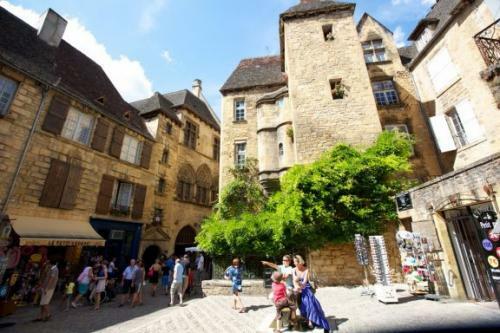 Situated in the heart of the historic Sarlat la Canéda, you can discover the architectural treasures of the medieval town, classed as a World Heritage site by UNESCO, on foot. 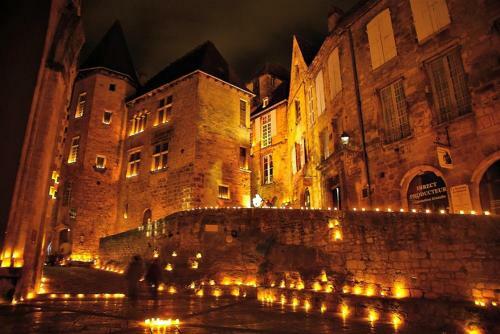 Leave your car in one of the nearby car parks, and discover the narrow streets of the old town, where art, history and architecture will surround you. 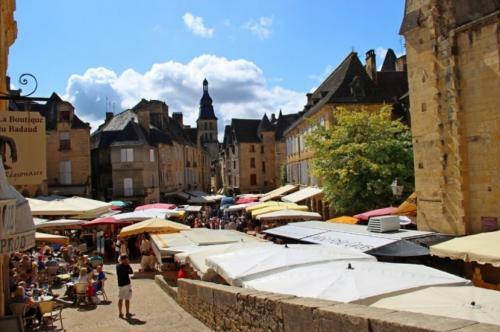 Good restaurants, shops, street entertainment in summer, and the colourful markets on a Wednesday and Saturday morning will delight you. 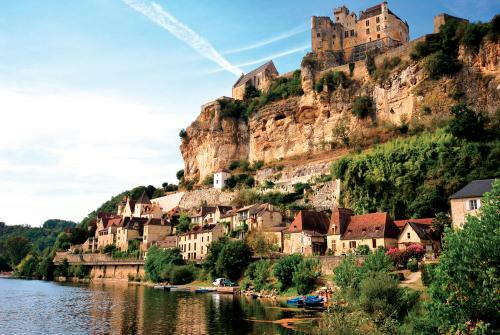 The main tourist sites of the Dordogne are all within a 30km radius, and why not try canoeing or a gabarre boat trip on the Dordogne itself? Or float above the valley in a hot air balloon? An unforgettable holiday! 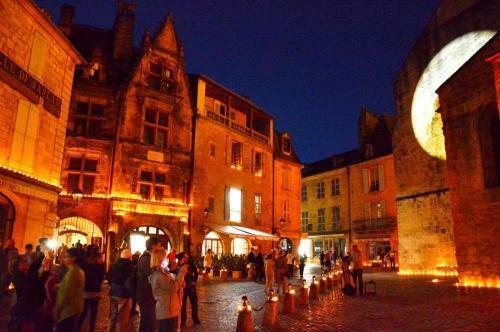 * Touristic taxe of 0,75€ du per night per adult. Bed linen, towels, bth mats and tea towels are provided. - emainder to be paid 30 days prior arrival.